I first saw Phillip Seymour Hoffman's work when I watched Boogie Nights. Isaiah remembers seeing him for the first time in Patch Adams. Starkly different films and performances. 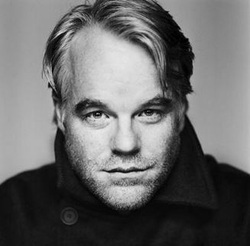 But PSH had the capacity to play polar opposite characters, and his filmography is one worth study and admiration. Some of our favorite Hoffman identities include: Capote, A Late Quartet, Moneyball, Along Came Polly, The Master, and Charlie Wilson's War. Another piece of Hoffman's work we highly favor is the religious drama, Doubt. Check out the link to a podcast Isaiah and I and our good friend Ben Bronsink of Snobby Movie Reviews recorded, prior to Hoffman's passing, for the film Doubt. FADE TO BLACK: the screenwriting mini-course ends. Two weeks ago, my first teaching experience for screenwriting came to a close. Five students finished the course, and each participant had the beginnings of a good film script. Four students may just do something with their work. One never gave her work a chance, regardless of my or the other students' help. A director told me the number one "skill" needed in actors is: the ability to take directions. How pliable are you? Must you do everything the director says? No. Directors are human, too. Fallible creatures. But if an actor's response to every note is simply: "No," "I don't want to do that," "That's not what I want," "Yes, but...," then the director will tire of working with that artist. "How does one deconstruct a masterpiece? In this episode, we try our best. Mark Botts, Isaiah Mouw, and Ben Bronsink discuss the incomparable No Country for Old Men. Topics of fate, aging, and maybe mob mentality are all brought up and thrown out on the discussion table. We love this movie, and think you will too." Check out another podcast that we were fortunate to be a part as we discuss the Coen Brother's masterpiece: No Country For Old Men. I love student participation in class, especially when it comes to creating and refining something. This week we examined loglines, one from each student for his or her script. Bruce Snyder's book Save the Cat offers a simple construction pattern to follow when building a logline. I was taught to work off my script's theme, a good practice. But the logline is more concrete, tangible. Similar to a thesis statement in an exposition paper. It's a single sentence - two, if necessary, but in the words of Walter White/Heisenberg, "Tread lightly"- that contains: the Who and what the who Wants, with implied conflict. Remember: only one sentence, this makes the logline easy to memorize and makes you and, thus, want to take it with you. Like a fine piece of luggage. Our class had loglines that traveled from talking extraterrestrial cats, to corrupt cops, to long-distance lovers, to immigrant gravediggers, to Russian Jewish folklore. In the end, they were all toting some respectable loglines. And the Oscar goes to... Alfonso Cuaron. Congrats to Alfonso Cuaron for winning the 2014 Oscar for best Directing on his film Gravity. How fitting that our podcast for Children of Men, also directed by Alfonso Cuaron, was posted this week on Snobby Movie Reviews. Click here to listen to our thoughts on an earlier Cuaron masterpiece. Our favorite podcast yet. 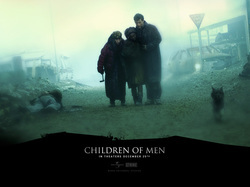 Mark Botts, Isaiah Mouw, and Ben Bronsink cannot slobber over Children of Men enough. Find out what every single symbol is in the film, and why Mark doesn’t consider it a masterpiece. During our third week, of the eight week screenwriting mini course at Concord University, we examined Act One in the three act paradigm, by watching the first act of the film The Matrix (1999). The students had already submitted their choices for the major beats in the movie (e.g. Opening Image, Inciting Incident, Plot Point 1, etc. ), and with their work done, it was my turn to walk them through each key moment, explaining where and when the major beats occurred. The first one was a stunner: "Is leather that much more comfortable than other material?" 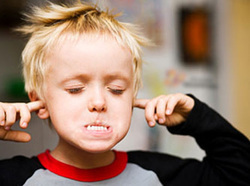 Another student chimed in: "No, leather is hot and noisy." One students confessed to having owned a pair of leather pants. The rest of the class added their comments as to the practicality of leather in everyday life. It was a fun turn of events. I was expecting some further investigation into how character arc is stronger when it's connected to the key story beats. We got to that, eventually, but not before we took a detour on the leather road less traveled. You don't have a ton of time to tell a movie. How do you give the best information in the least amount of time? Images and Actions. Films exist in a world that hinges on the visual. Dialogue is important, and we all have our favorite movie quotes: "Unite us. Unite the clans," is one of mine. But films are meant to be visual: When William Wallace, his back to the camera, turns to face his cheering band of Scotsmen because he successfully led an attack against the English that killed his wife, I had an epiphany. It became the chief cornerstone for me wanting to enter the arts. In that moment, I knew I wanted to be involved, in someway, with making movies. The master filmmakers know how to visually tell their stories. They know how to reveal character and plot and theme primarily through image/action and secondly through dialogue. And the master screenwriters do just the same. One of my favorite screenwriters is Wes Anderson. Yes, he also directs his work, and that makes him better than the rest of us, but so what. His voice is unique. His stories are profound, honest art. For the first time in the school's history, Concord University (Athens, WV) is offering a class on Screenwriting. And I, Mark Botts, am teaching it. The Dean of Concord's English Department is a film aficionado - it's ridiculous the number of movies that man has seen. He chairs the Film Society, too, and is very proud of the institution's film library, a project he has steadfastly led for many years. When he and I first met, in the fall 2013, we discussed my teaching (as an adjunct) a World Literature class. I was thrilled for that opportunity. Our second meeting focused on movies - films - cinema. Thanks to twitter, we stumbled upon Brad Johnson's website - readwatchwrite.com - and found his 52 week script challenge. Read one script a week, for an entire year. Watch the film. Write about it. At first, we were diligent to read and write, focusing our break downs of the scripts on the following: Opening Image, Statement of Theme, Inciting Incident, Act Breaks, Protagonist, Antagonist, Point of No Return, Darkest Hour, Climax, and Denouement. That exercise, alone, proved its worth. How can you write a great script if you're not reading and dissecting them, too? As the weeks wore on, and we wore down - with work and all other responsibilities - we backed off the script analysis. Still, we managed to read them all.